Leaks are annoying. Imagine being in a very quiet building or room, hearing nothing except the constant dripping noise. If you are a very light sleeper, you may have been kept awake by this noise. It’s enough to drive anyone crazy. Aside from the noise, you also have to deal with the mess. If it is just starting out and all that comes out are drops, it’s not a big deal. Yet. But if you did not notice the leaks or you just left it alone for a long time without cleaning up, don’t be surprised to see either just a puddle or ankle-deep waters at home. Have you ever encountered this? If so, you know that leaks don’t come from your ceiling alone. Your plumbing system is also a common culprit for this. Would you believe even your water heater can get leaks? This article is for you if you are curious about leaks coming from a water heater, or are experiencing this problem. While water heater leaks can occur at the top or at the bottom, we will discuss bottom element leaks here. If you see a puddle of water near your water heater, your likely conclusion is that there is a leak somewhere on it. After all, hardware issues are the most usual causes of a leaking water heater. You should know that this is not always the case. Instead of your water heater, the leak may actually come from somewhere else, like a roof, and settled near your unit. When this happens, you might mistake it as coming from your water heater. This is why it is always important to determine whether a leak is caused by an issue with your water heater or not. Other nearby piping and plumbing fittings may also be the source of the leak, not the water heater itself. Connections may have loosened up or they are the ones that need to be checked out. Another possible source is condensation, especially on its connected piping and fixture. The water you see on the ground may come not from leaks but from the condensation that forms. This is quite common in rooms that have a warm and humid air and condensation forms when cold water runs on the piping at the same time. If there is too much condensation, you might believe there are leaks. Age also plays a huge factor for the formation of leaks. If your water heater has been working for years, even as long as more than a decade already, the more likely it is to fail. Water heaters, just like most appliances, become brittle over time and a common result of this are the formation of leaks. Pressure in the water tank can also result in leaks. A common safety feature of water heaters is to release water when there is already too much pressure, which often happens if you have set the temperature of your water heater too high. The water that gets removed as a result of this is the “leak” you might see. All these just shows that having leaks within the vicinity of your water heater means one of two things: either the leak is a result of an issue or two with your water heater or the source of this water is actually coming from somewhere else and it just looks like it is from a leak on your water heater. Why is Water Leaking from the Bottom of my Water Heater? If you believe that the leak is coming from your water heater, it is best that you immediately call a qualified contractor as soon as you can. Leaks should never be underestimated and the repair must not be put off for later. It will get worse if left unattended and this would be a very costly mistake on your part. Once the contractor sees that the leak is indeed coming from the water heater, he or she will then have to check which of the component of your water needs repair. If the leak originates from the bottom of your water heater, this would be a much more complicated situation. It’s either your contractor will do some very minor repairs or you would have to completely replace it. The above parts are generally the only source of leaks on the bottom of your heater, unlike leaks on top that can also originate from the water inlet and outlet valves, as well as the overflow pipe. Because of the limited possible causes of the bottom leak, it would be much easier and faster for your contractor to see where it is coming from. What Should I Do When My Water Heater Leaks? From our discussion, you can already guess that the first thing we advise you to do is to get in touch with a contractor. Sure, you may be a pro at DIY-ing your way with your kitchen sink but doing repairs on any water heater is a different story. Not only do you run the risk of ruining your water heater, but there are actually fatal consequences if you don’t really know what you are doing. Immediately calling a contractor to help you out is the wisest decision you can make in this situation. These contractors can gauge if repairs are still possible or not, given that bottom leaks are more often a bad sign. To check on this, he or she must first trace the source of the leak on your water heater. From there, it will be easy to identify whether doing repairs or just replacing the entire water heater is much more economical. Dry off all the water. This is the easiest way for them to see if there are actual leaks coming from your water heater or it is possibly coming from another source. Once the floor has been completely wiped dry, the contractor will observe and see if water will seep through again. If this happens, the possibility of a leak increases. The next step of your contractor is to see where it originates. To check the location of the leak, he or she will place indicators, such as tissue paper and towels. This way, the contractor will be able to narrow down the location of the leak. As soon as the source is identified, the next step for your contractor is to turn off the power source of your water heater. This is not as simple as removing the plug from the socket, as water heaters are either powered by gas or electricity. Gas-powered water heaters usually have a dial or an on and off switch, while electrical water heaters need to be shut off by its circuit breaker. The last step before your contractor will start repairing your water heater is to shut down the water inlet valve. But if the leak has become too strong, your contractor may have to temporarily cut off the entire water supply in your home. You might wonder why your contractor will only shut down the power and water supply of your water heater at the last step, and not immediately to stop the leak. This is essential because a continuous flow of water will allow him or her to find out the source of the leak. A typical homeowner has the tendency to ignore leaks at home, especially if it is just more of an annoyance for them and not something that already causes visible damage. But when these leaks start wreaking havoc at home, that’s the only time he or she will think about repairing it. If you are one of these homeowners, you need to know that there are potential harmful consequences to it. It’s not just the possible damage it can do to your home that you need to worry about. It can cause water damage to your home and your belongings – this is probably the one you are most familiar with. After all, it is common knowledge that water leaks can be destructive. At its best, it may just leave stains on your furniture or floors, but leaks that are so bad can even ruin the foundations of your home or your appliances, or you may even be greeted with a flooded basement the next time you go down there. Repairs will get even more expensive the longer you put it off – a water leak will never go away on its own; it will only stop once it gets repaired. If you expect to pay a lot to make the necessary repairs, don’t be surprised once you end up paying double or triple the amount you expected to pay, before the situation got out of hand. Mold, mildew, and harmful bacteria may grow and easily reproduce – consider yourself lucky if you have never encountered these issues at home. Not only can they do a lot of damage, they are also known health hazards. Aside from getting allergic reactions, anyone exposed to it can get respiratory infections. These allergens thrive in a damp environment and the surrounding walls of your leaking hot water heater is a perfect place for it to start. And once it starts growing, it will rapidly reproduce. There is always the risk of electrocution – we were all taught in school, or through first-hand experience, that water and electricity must never mix. A water leak can cause this, especially if the leak ends up on an electrical connection. This risk is even higher for water heaters, especially electrical ones. Unnoticed puddles from leaks can cause accidents – since water is colorless, it is hard to spot them on any surface. If you have yet to discover the leak and there is already a buildup of water near your water heater, you may not notice it and it can cause you to slip. This is one of the most common causes of accidents at home. The water quality will be affected – if the leak is caused by rust or a corroded part, it will possibly contaminate the water, especially if the water passes through this particular part. Instead of getting potable water, you may get water that is full of various chemicals and harmful microorganisms. A leak on your water heater may be a sign that it is about to explode – even if there are safety precautions available for all water heaters, a leaking one may be a sign that it is going to explode. It may happen tomorrow, after a few months, or next year, but it can definitely happen. Looking closely, it is easy to prevent all these potential hazards from occurring. Who would have thought a seemingly simple leak can possibly bring about so much damage to you and your home? Can I Have the Tank of My Leaking Hot Water Heater Repaired? Earlier, we talked about how leaks on a water heater can be remedied either by repairing it or completely replacing your water heater. If you recall, we mentioned how doing either of these two will depend on the source of your water heater’s leak. Some parts are still repnoairable, but there are also those that aren’t. If the contractor traces the leak to the internal tank of your water heater, it is a much more serious problem. There is a bigger possibility that you must replace your water heater already. It doesn’t matter if it still works excellently for you; any leak confirmed to come from the internal tank is a sign of a very serious problem. But before you replace it, your contractor may check if the problem just lies on the set temperature of your water heater. Leaks as a result of too much pressure on the tank may actually be caused by setting your heater to a higher temperature than it can manage. But even if this is the case, it already shows that your heater is no longer working at its peak condition and you may soon have to replace it already. If changing the temperature doesn’t work, then there really is something wrong already with your water heater’s tank. Unfortunately, this part is something that can no longer be repaired. You would have to change your entire water heater, as the tank is a vital component and must always be in perfect condition. If your water heater is not well-maintained, corrosive chemicals found on the water sediments that pass through it may settle inside. Over time, it can cause rust to form or corrosion to start, beginning from the inner glass lining of the tank. This will cause the formation of pinprick-sized holes to form, which will enlarge over time, and water will leak through it. Does your water heater fit this bill? If so, you need to stop using it and replace it as soon as you can. This type of leak is a major sign that a water heater is already at risk of exploding. How Do I Fix a Leaking Water Heater? 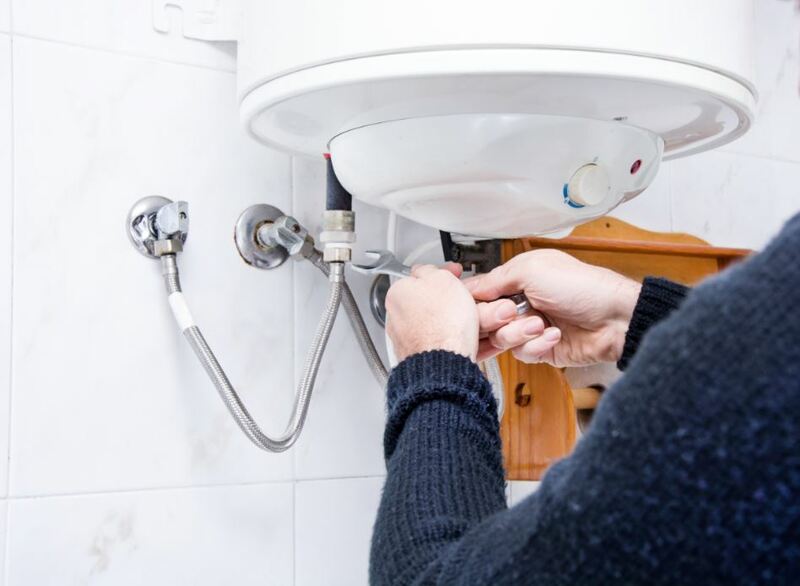 You might have noticed how issues with water heaters tend to be in the extremes – it’s either the issue is so minor that your contractor can easily finish the repairs in a day, or it is completely unrepairable and would need to be replaced. There is no in-between for it; you can’t leave water heater leaks alone and go on your way, hoping that it eventually stops. If your contractor has checked everything out and the tank is not the culprit of the leak, or it does not already warrant a replacement, it means your water heater can still be repaired. This is good news for you. For a water heater leak that originates from the bottom element, there is a chance that the issue lies with the heater element gasket. This part is usually found at the side of the tank and is hidden away under an access cover. Once the contractor confirms that the leak is coming from this part, it would have to be replaced. Your contractor must first remove the access cover, which is usually fastened to the tank using screws. The tank will then be drained of water by connecting a hose to the drain valve, and at the same time opening a hot water faucet. This will allow air to get in and circulate inside the tank. Draining the water will continue until your contractor sees that the water level is below the heating element. 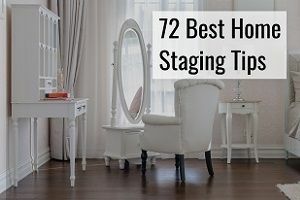 Your contractor will remove the element, via an element wrench or socket, and will check the condition of the mounting flange if it already needs cleaning. The old gasket will then be removed by your contractor and a new one will be installed. Once that’s done, the element and the cover will be reattached by your contractor, as well as the other parts that were removed or disconnected. A reason why a water heater may leak from the bottom element is because it no longer drains properly. This is caused by the buildup of sediments that settled on the drain valve. If this is not remedied, it can actually damage the drain valve. The contractor will do a test to see if your water heater’s drain valve is clogged up. First, a hose must be connected to the drain valve. After this, he or she will turn on one of your faucets for hot water and leave it open to see if water will actually drain. Your drain valve is clogged up if no water flows from the hose or only trickles come out. If the contractor sees that the leak is coming from this valve, it means that your drain valve has loosened up. If tightening it up will not work, it should already be replaced. To do so, your contractor will usually completely drain the tank of water, although some contractors can replace it without doing so. The old drain valve will then be removed. Before attaching the new drain valve to your water heater, its threads must be wrapped first with either Teflon tape, also known as the plumber’s tape, or a joint compound. Your contractor will then screw the new one in place by hand, then tighten it up using a wrench. All water heaters have various safety measures in places, and all these involve the T&P valve. This particular valve is responsible for regulating the pressure inside your water heater, especially when it has an extremely hot temperature. When it can no longer contain the pressure, the valve will release some water to relieve it. Homeowners may mistake this for a leak. Your contractor will then check to see whether the leak coming from your water heater’s T&P valve is a result of this safety measure or an actual leak. If the overflow of water is due to having too much pressure inside, this is usually solved by turning down the temperature of the water heater. But if this does not work, the valve will be replaced by your contractor. Changing the T&P valve generally follows the same process of changing the drain valve. The initial steps will also be observed by your contractor when he or she changes the T&P valve, from turning off the inflow of cold water to draining the water. This time, however, the water level should be drained until it is below the T&P valve. And before installing the new one, your contractor will also have to wrap its threads with Teflon tape. To finish the installation of the new valve, the contractor will check if the outlet of the valve faces downward, which is the correct position. If you noticed, the processes of repairing the parts above are reminiscent of plumbing works. Sounds easy, right? Unfortunately, this is where you are mistaken. Like we mentioned, water and electricity should never mix and this risk increases a hundredfold when it comes to repairing water heaters. If care must be exercised when repairing appliances in general, even more so is needed when water heaters are involved. There is no room for rookie mistakes and experimental repairs, since these can result in disastrous consequences. In order to avoid this, the only way is to get the services of a qualified contractor. 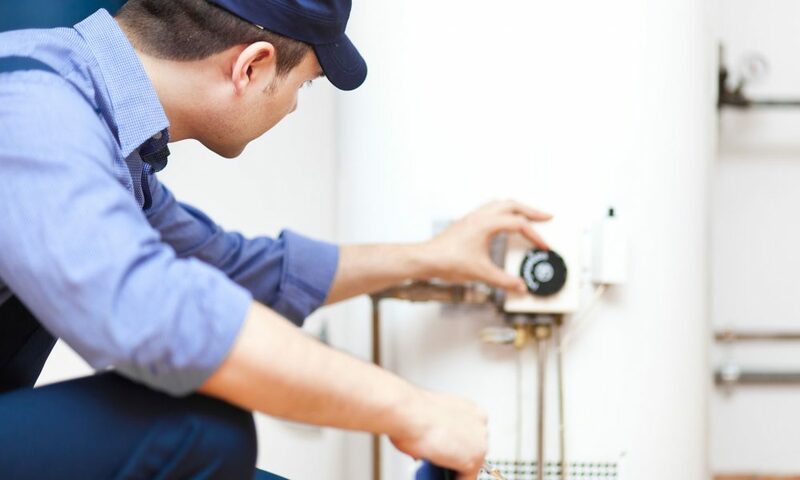 Water heaters have complex systems and parts, and repairing them is going to be difficult for someone without the right knowledge and experience for it. You’re in luck if your contractor says that he or she will only have to do minor repairs to your water heater. This would mean you don’t have to spend a lot of money to get rid of the leaks on it. However, there are times that just replacing it entirely is a more economical option. But when should you do so? The overall cost of the repairs is just too high. Sometimes, a repair job you assumed to be easy may turn out to be not so simple in reality. As a result, your contractor may give you a quotation that ends up higher than you anticipated. If the ballpark figure you were given is nearly the cost of a new water heater, why not just get a new one? After all, you have no guarantees how long yours would still run even after it gets repaired. You’ve had it for such a long time. One of the household appliances that is known to last years is the water heater. Most of them can even last for more than a decade. However, they will still eventually break down. If you are already encountering hiccups with your unit and you know that it’s quite an old unit, think about replacing it now. It keeps making unusual sounds. Water heaters, in general, do not make a lot of noise while running. And when you start hearing noises it has never made before, you might need to get it checked asap. This is a common issue with aging units. Your electrical consumption is getting higher, but your actual household usage seems unchanged. One of the appliances that consumes the most electricity is your water heater. They can consume as much as half of your entire usage in a month. If you noticed a consistent increase on your electricity bill for reasons unknown to you, you might have to check on the condition of your water heater. A constant higher consumption may indicate that it is starting to fail. The water temperature is lukewarm, even when set to the highest available temperature. One of the easiest ways to tell if your water heater is malfunctioning is to check the water temperature. Gradually start raising its temperature and if it stays at the same level, you have a problem. Get a contractor to check it out and see if something can still be done about it. You already see corroded parts or rust forming on its components. The formation of rust or having corroded parts in any appliance is never a good sign, especially for water heaters. If the rusted or corroded parts can still be replaced, have your contractor do it for you. But if not, you should already replace it, since this can affect the quality of the water. You don’t want the water coming out of your faucets to be full of germs or chemicals, do you? 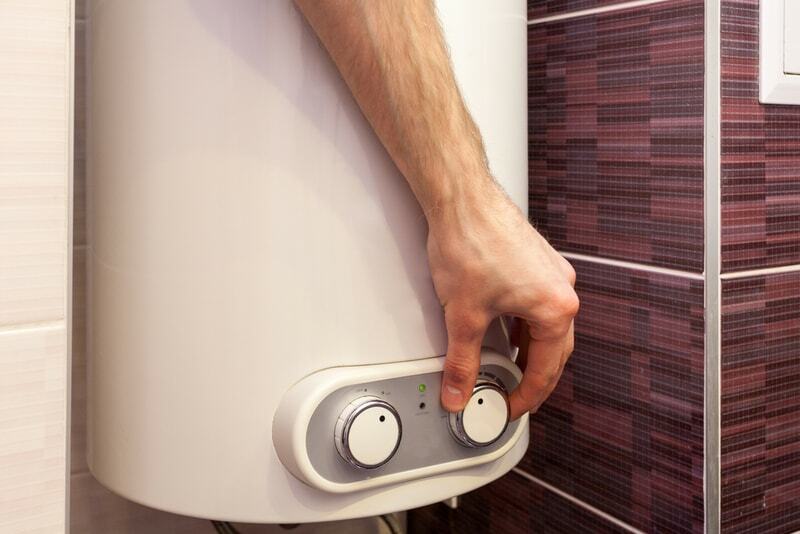 You should never scrimp on issues with your water heater. Always heed the suggestions of your contractor; whether he or she says it is still repairable or you already have to get a new one, do it. What looks like a simple problem for an untrained eye like yours may actually be a serious problem, in reality, for someone knowledgeable about it. How Much Will It Cost to Have the Leaks of my Water Heater Repaired? Are you hesitating to have your water heater leaks checked out because you are afraid of how much it can possibly cost you? If so, you need to prepare for both the best and the worst. The lowest amount you may have to pay for having your leaking water heater repaired is reportedly around $50. On the other hand, you may also have to spend as much as $1500 on repairs alone. It normally ranges from $100 to $900, depending on the part that needs to be repaired and the extent of the damage or issue. The soonest you get the leaks checked out, the cheaper you potentially have to spend for repairs. And when you do, make sure to get a licensed contractor that is fully qualified for the job. Contractors have different specializations, so make sure you get the services of someone who actually works with water heaters. 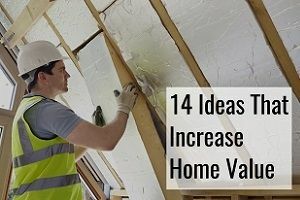 This will also allow you to save money in the long run, because these contractors normally get the job done at first try. Can I Get Free Quotes When My Water Heater is Leaking? Plumbers will normally give you different quotations for the same job; that’s how they compete. 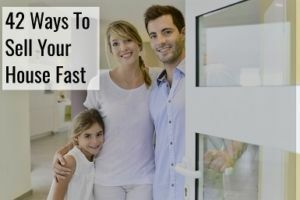 As a homeowner, this is something you need to keep in mind. And this is also how you can get the best price for the repair of your leaking water heater. A standard practice of contractors is to give you a ballpark figure of how much they will charge you to get the job done. These quotations are normally given for free, especially when they know that they are not the only contractors in the area. This competition will get them to lower their prices once they realize that the other contractors have also given you their own quotations. You need to use this to your advantage; negotiate with various contractors for them to voluntarily lower their rates for you. They will do it as soon as they discover that you are considering other contractors for the same work. After all, you are a potential client that they all want to close a deal with, and they know that the best way to get you to sign a contract with any of them is through their rates. The easiest way to get a quote is by filling out the form on our site, and we’ll connect you with the most relevant contractors in your area and have them bid on your project. It’s even free for you and takes just 2 minutes to fill out the form. Did Your Hot Water Heater Leave You With a Flooded Basement?